Quality brands including, Dulux, Berger, Selleys etc. make your project a complete success. 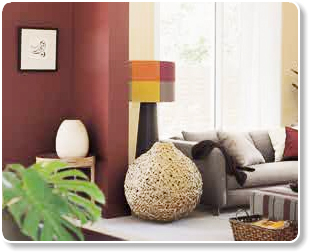 hints from our qualified colour consultants. suedes and satin finishes to the latest matte or metallic looks. an array of Dulux on our amazing hex wall.